Assassination is big business. It is the business of the CIA and any other power that can pay for the "hit" and control the assured getaway. The CIA brags that its operations in Iran in 1953 led to the pro-Western attitude of that important country. The CIA also takes credit for what it calls the "perfect job" in Guatemala. Both successes were achieved by assassination. What is this assassination business and how does it work? Col. L. Fletcher Prouty . Col. Prouty spent 9 of his 23 year military career in the Pentagon (1955-1964): 2 years with the Secretary of Defense, 2 years with the Joint Chiefs of Staff, and 5 years with Headquarters, U.S. Air Force. In 1955 he was appointed the first "Focal Point" officer between the CIA and the Air Force for Clandestine Operations per National Security Council Directive 5412. He was Briefing Officer for the Secretary of Defense (1960-1961), and for the Chairman of the Joint Chiefs of Staff. On October 26th 2002, the US anti-war senator Paul Wellstone was killed in a plane crash two miles from the runway in Minneapolis, along with his wife and daughter Suzanne Goldenberg, and three campaign staff and two pilots. Many reporters have already pointed out how convenient it is that that George W. Bush's most outspoken opponent was killed in a plane crash less than two weeks before an election in which his victory was essential to maintain Democrat control of the Senate. FoxNews.com, reported that Wellstone was flying in a "King Air A-100 turboprop, said to be one of the safest planes in the air." Further, reports indicate "freezing drizzle and light snow had been falling and there was light fog, but officials are not certain the weather contributed to the crash." In addition, "the plane's pilots called the airport to get clearance for landing when they were about seven miles out, and they reported no problems, said Gary Ulman, who was on duty at the small airport at the time." As a direct consequence of Wellstone's death, G.W.Bush now has control of both Houses of Congress. Wellstone, 58, was seen as a symbol of the anti-war movement for voting against Bush earlier in October 2002 on the resolution authorising the use of force against Iraq. He also spoke out against Bush's plans to open Alaska up for oil companies. In the midst of a heated race for the Senate against John Ashcroft, the Governor died in a plane crash on October 16, 2000. His death affected Democrats in two ways - it would hurt their chances of seizing control of the US Senate, and it would strongly impact the Presidential race between Al Gore and George W. Bush. Said St. Louis University political scientist Ken Warren, "There will be a sympathy vote, but that won't be enough to allow him to win. "I don't think the race will be very close. It's over." As we know now, Ashcroft lost to a dead man. Carnahan was elected by a landslide. Lori Klausutis, age 28, was found dead behind a desk in the offices of US Representative Joe Scarborough of Florida, a Republican, on July 20, 2001. Death was apparently due to a blow on the head. Claims that a heart condition precipitated an accidental fall are tenuous at best; Lori was a marathon runner, and one would think that a heart condition would already have become apparent. At the time of her death, she was treasurer of her chapter of the Florida Federation of Young Republicans. Readers will note that there is no mention of young Lori's passing, although there is that ever-present link to the Chandra/Gary dungheap that commands the attention of our media. It is an interesting coincidence that Tim Klausitus, Lori's husband, worked on targeting technology for missiles, in light of the fact that Lori's body was discovered within a week of George W. Bush's much-ballyhooed missile defense test. Another interesting tidbit: Rep. Scarborough sits on both the Military Construction and the Research and Development Subcommittees. Scarborough has resigned and is leaving office in November, giving his family as the reason. He died on April 1, 2002, in a plane crash in Gainesville, Georgia. He was an executive vice president at ChoicePoint, the firm that gained infamy with their faulty "felons" list supplied to Katherine Harris during the 2000 election in Florida. As a result of this list, thousands of voters (mostly African-American voters) were wrongly identified as felons and purged from the rolls. Mr. Hatfield was the author of Fortunate Son, an unauthorized biography of George W. Bush. The book detailed Bush’s cocaine use and cover up of a cocaine arrest. He was found Wednesday, July 18, in a motel room, an apparent suicide. Mr. Adger, a Houston oil supply company executive and Bush family friend, died in 1996 of unknown causes. Adger was the mysterious businessman who approached General James Rose and asked him to help George W. Bush avoid Vietnam by recommending him for a pilot position with the National Guard. He was Director of Counterterrorism at the New York offices of the FBI. until he resigned in August 2001. One of the world's top experts on Osama bin Laden and Al Qaeda, he grew to believe that "all the answers" regarding what they needed to destroy Al Qaeda lay in Saudi Arabia. However, starting in January 2001, Bush blocked all efforts by Mr. O'Neill to investigate Saudi ties to bin Laden. In the summer of 2001 O'Neill declared that the main obstacles to his investigation were U.S. oil interests. September 11: On O'Neill's second day of work on the 34th floor, the WTC is hit by the first plane. O'Neill makes it out of the building safely, calls his son to say he is OK,. then goes into the other tower to help guide those still inside to safety. Minutes later, O'Neill, along with hundreds of others, is dead, killed by the terrorist the Bush administration refused to allow him to pursue to the best of his ability. She had been implicated in February in a phony documents scheme said to be related to the September 11 hijackers. One day before she was due in court, she was incinerated in her car after having hit a utility pole. An investigation revealed that the crash was minor and was not the cause of the fire that burned Smith beyond recognition. Who was really behind 9/11? Was Katherine Smith privy to that information? Why did she have to die, and who killed her? Katherine Smith, a Tennessee driver’s license examiner was killed in an ‘automobile accident’ when her vehicle reportedly crashed into a utility pole and burst into flames. Damage to the car was minimal and the gas tank was discovered to be full and intact. The death was considered as having occurred under the “most unusual and suspicious” circumstances. One report suggested that the car had been doused with gasoline and then ignited. The next day she was to be arraigned on charges that she had supplied five of the alleged hijackers with phony licenses. Mr. Stevens died of a mysterious case of anthrax. He worked as a photo editor for American Media, who owns the National Enquirer. The Bush family suffered enormous embarrassment at the hands of the Enquirer when they published a photo of daughter Jenna Bush, obviously intoxicated, cigarette in hand, cavorting on the floor with another drunken female. General Rose recommended George W. Bush for a pilot position with the Texas National Guard. He died of unknown causes in 1993. He was immediately buried and no autopsy was performed. Lt. Colonel William Harris, Jr.
Lt. Col. William Harris was one of two commanding officers who could not perform George W. Bush’s annual evaluation covering the year from May 1, 1972 to April 30, 1973. They stated in their filing that "Lt. Bush has not been observed at this unit during the period of this report." Fortunately for George W. Bush, Lt. Col. Harris is not here to verify his 1973 statement. He's dead. Lt. Col. Jerry B. Killian was another of George W. Bush’s commanding officers. He cannot testify in a court of law as to George W. Bush’s dereliction of his sworn duty. Lt. Col. Killian is dead. Mr. Aalund's name is the first on a long list of young Texans who died in Vietnam. These young men did not have influential fathers to pull the strings necessary to get them into the Texas Air National Guard. If they had been so lucky, they would surely have fulfilled their responsibilities to the ANG, if only out of gratitude that they did not have to die, thousands of miles away in a strange land. They surely would not have disappeared from duty for over a year, as did our fearless leader George W. Bush. She was executed in spite of enormous protest from the public, even those religious groups that advocate the death penalty. Even Pat Robertson thought that Karla was truly repentant and asked George W. Bush to spare her life. He refused. Afterward, in a Talk Magazine interview, Bush mocked the woman whose death warrant he had sanctioned, pursing his lips and whimpering, "Please don't kill me!" David Wayne Spence was executed in Texas in 1997 in spite of compelling evidence of his innocence. Two of the State's witnesses were co-defendants who testified to avoid the death penalty, one of whom changed his story three times in response to discrepancies. He later testified that D.A. Simons encouraged him to alter his testimony. Two other witnesses for the State were jailhouse snitches who recanted later and stated that Simons offered them favors in exchange for testimony. All of this and more was supposedly reviewed by Governor George W. Bush, but Bush refused to commute his sentence, and did not order the Board of Pardons and Paroles to review his request for clemency. It is a myth that a Texas Governor can do nothing to stop executions; the Board will almost always go with his recommendation. Bush washed his hands of the matter and did nothing. Reasonable doubt is not a factor in Texas justice. Gary Graham was convicted of the robbery and murder of a white man in 1981. Nearly two weeks after the crime, the state's prime witness could not pick Gary's picture out of a photo line-up. Mr. Graham was arrested with a 22 caliber pistol. The victim had been killed with a 22, but the police firearms examiner determined that Mr. Graham's gun DID NOT fire the fatal bullet. Four witnesses said Gary Graham was with them, miles away from the convenience store, when the murder occured. All four took and passed polygraph tests. George W. Bush, predictably, expressed his faith in the Texas judicial system and allowed Mr. Graham to be put to death. Mr. Graham maintained his innocence to the end. He was investigating Lawrence E. King, Jr., a very influential black Republican who was also a friend of George H.W. Bush. King was director of the Franklin Community Credit Union in Omaha, Nebraska, and was suspected of embezzling $40 million . The Nebraska Senate questioned child prostitutes, who accused King of running a child prostitution ring. One of these children said that she saw George H.W. Bush at one of King's parties. "Pronto", a newspaper in Barcelona, Spain, reported that the scandal "appears to directly implicate politic’s of the state of Nebraska and Washington DC who are very close to the White House and George Bush himself". On July 11, 1990, Gary Caradori was killed along with his 6-year old son in the crash of his small plane, after a mid-air explosion, the cause of which was never discovered. He had told friends repeatedly in the weeks before his death that he was afraid his plane would be sabotaged. Steve Kangas, 37, ormer Army intelligence specialist (Berlin + Central America Soviet eavesdropper/analyst) and proprietor of a comprehensive liberal Internet site Liberalism Resurgent http://www.korpios.org/resurgent/tenets.htm, was meticulously researched and presented such a problem to the "real boss" of George Bush, Richard Scaife, that he hired a private detective to look into Kangas' past. Steve Kangas was found in a 39th-floor bathroom outside of Scaife's offices at One Oxford Centre, in Pittsburgh, an apparent suicide. Mr. Kangas, a very prolific writer, left no note. He had brought a fully-packed suitcase of clothes with him to Pittsburgh. He bought a burglar alarm shortly before he left for Pittsburgh. Why did he need a burglar alarm if he was going to commit suicide? An avowed advocate of gun control, he nevertheless bought a gun. What was he afraid of? Why did he go to Pittsburgh? After his death, his computer was sold for $150 and its hard drive wiped clean. Everything in his apartment was thrown away. He was working on a book that tied together the scandals surrounding the presidency of George H. W. Bush. He told his friends he was going to "bring back" the head of the Octopus. Instead, his body was found in a hotel in Martinsburg, West Virginia, on August 10, 1991, an apparent suicide. He was torn to bits by a car bomb on the streets of Washington DC just before he was to testify against the Chilean dictator Pinochet. After the bombing, CIA Director George H. W. Bush told the FBI that there had been no Chilean involvement whatsoever. In 1991 the post-Pinochet Chilean Supreme Court asked George H. W. Bush if he would submit to questioning. BUSH REFUSED. She was Letelier's assistant. She and her husband were riding in the car with Letelier when the bomb exploded. Mr. Moffit survived. Ronni didn't. These young men were killed when pilot George H. W. Bush abandoned his plane when it was hit by enemy fire. Much has been made of this story - Bush propaganda would have us believe that he was a hero. An eyewitness to the event tells us otherwise: Chester Mierzejewski, who was the turret gunner in another plane, had an unobstructed view. He states that he saw a "puff of smoke" come from Bush’s plane and quickly dissipate. He states that the plane was never on fire and that Bush never attempted a water landing, which was standard procedure, and which would have given Mr. Delaney and Mr. White a chance. An internal FBI memo reported that on November 22 a reputed businessman named George H. W. Bush reported hearsay that a certain Young Republican had been talking of killing the President when he came to Houston. The Young Republican was nowhere near Dallas on that date. According to a 1988 story in The Nation, J. Edgar Hoover (freemason 33 degree) said in a memo that Mr. George Bush of the CIA had been briefed on November 23rd, 1963 about the reaction of anti-Castro Cuban exiles in Miami to the assassination of President Kennedy. George H. W. Bush has denied this, although he was in Texas and cannot account for his whereabouts at the time. Although he denies it, there is a growing body of evidence that George Bush was working for the CIA as early as 1961. Many feel he was actually recruited during his college days (which is when he joined the Skull and Bones). Bush claims to have been working for his own oil company during the early 1960's. It would make for a convenient front since he claims to have been off- shore on drilling rigs for weeks at a time. The rigs were located all over the world. Was he really on the rigs or was he running around on CIA business? The various biographies of Bush are all sketchy on this phase of his life. During this time, Bush had moved to HOUSTON, Texas. His wife was, of course, BARBARA. His oil company was ZAPATA Off Shore Co. The code name for the Bay of Pigs invasion was Operation ZAPATA! A former high-ranking Pentagon official, Col. Fletcher Prouty, was the man who secured two Navy ships for the operation. He has told of seeing the two ships repainted to non-Navy colors for the invasion. The ships were given the new names HOUSTON and BARBARA! Of course, maybe the names were just coincidences, but Bush was living in Houston with Barbara and running Zapata in 1961 during the planning of the invasion. The name "Operation Zapata" was top secret and known only to a very few. In 1977 and 1978, the government released nearly 100,000 pages of documents on the Kennedy assassination. One which slipped out by mistake was from the FBI to the State Department written a few days after the assassination. The State Department was worried that anti- Castro groups in Miami might stage another invasion of Cuba in the aftermath of the JFK murder. The FBI informed them that they had questioned both pro-Castro and anti-Castro groups and could find no information about such plans. The memo went on to state that the information was passed along to "George Bush of the Central Intelligence Agency" the day after the assassination. Why was the information passed along to the CIA? Probably because of their previous invasion attempt and other planned attacks. Why George Bush? Probably because he was involved in previous invasion plans! When the document first surfaced no one paid much attention to it. When the presidential campaigns began for the 1980 election then the name George Bush caught researchers' eyes. When asked about the memo, Bush denied working for the CIA at the time. As evidence built that it was indeed him, the CIA claimed it was a different George Bush although their policy had always been to neither confirm nor deny a person's employment. The other George Bush was tracked down by reporters and said that although he did work for the CIA at the time, he was never involved in that sort of work. The interesting point is that the CIA did not bother to contact the other George Bush and inform him that reporters might soon be calling. Other evidence surfaced that showed the George Bush mentioned in the document was actually George H. W. Bush and had the same address as the famous George Bush. Another Bush connection involved George de Mohrenschildt, a rich Russian oil man who lived in Texas when Lee Harvey Oswald settled there after his trip to the Soviet Union. De Mohrenschildt was a long-time CIA agent and quite possibly served as a CIA control officer for Oswald. The Warren Commission described him and his wife as being the two people friendliest to Oswald at the time of the assassination. De Mohrenschildt's son-in-law told the Warren Commission that if any- one had helped with the assassination it was most likely de Mohrenschildt. De Mohrenschildt was also the man who moved Oswald to Dallas. Shortly before the House Select Committee on Assassinations started meeting in the late 1970's a new doctor appeared in de Mohrenschildt's town. De Mohrenschildt started seeing him and quickly became mentally unstable. His wife convinced him to stop seeing the doctor. The doctor then moved away and left a false forwarding address. The very day the Committee tried to contact de Mohrenschildt about testifying, he was found dead of a gun shot wound. His personal address book was found and it contained the entry "Bush, George H. W. (Poppy) 1412 W. Ohio also Zapata Petroleum Midland." Bush's full name is George Herbert Walker Bush which matches the initials given and his earlier oil company was named Zapata Petroleum Corp. Why was his name in de Mohrenschildt's book?. George Herbert Walker Bush, known affectionately as "Poppy,"
It is known that in the early 1960's de Mohrenschildt made frequent trips to Houston, which was the location of Bush's home. He told friends he was visiting the Brown brothers, who were close friends and financial supporters of Lyndon Johnson. CIA documents reveal that during the planning phase of Operation Zapata, de Mohrenschildt made frequent trips to Mexico and Panama and gave reports to the CIA. His son-in-law told the Warren Commission that he believed de Mohrenschildt was spying for the planned Cuban invasion. He sat on the Warren Commission, which concluded that President Kennedy was slain by a lone assassin. Later, in 1971 and '72, Boggs said that the Warren Report was false and that J. Edgar Hoover's (freemason 33 degree) FBI not only helped cover up the JFK murder but blackmailed Congress with massive wire-tapping and spying. He named Warren Commission staff member Arlen Specter as a major cover-up artist. Congressman Boggs' plane disappeared on a flight to Alaska in 1972. The press, the military, and the CIA publicly proclaimed the plane could not be located. Investigators later said that was a lie, that the plane had been found. On the plane were Nick Begich, a very popular Democratic Congressman, and Don Jonz, an aide to Mr. Boggs. All were killed. His partially decomposed body was found in his home, still seated on the toilet. According to the Washington Times, "...he was investigating the theory of an 'October Surprise' conspiracy during the 1980 federal election campaign. He had been interviewing an inmate who claimed to have piloted George Bush to Paris so he could secretly seek to delay the release of 52 American hostages in Iran." He was a former Israeli agent who was in Jerusalem with George Bush during Iran Contra. He went under the assumed name of Pat Weber. Nir was scheduled to testify to the Senate subcommittee and it was feared he would reveal the truth. He perished when his aircraft was shot down with missiles from the helicopter of a man called Gene Tatum, 25-year CIA deep cover agent. He was appointed by the Reagan/Bush Administration to chair the bipartisan committee to investigate the Iran/Contra scandals. He directed the Tower Report and had all the Iran Contra documents that told the real story. He was killed in an airplane crash later in Georgia in 1991. Also killed was his daughter, Marian. Dictator of Pakistan, and knew all about Iran/Contra, the training, funding, and arming of narco-terrorists like Osama bin Laden. In August 1988, the same day George Bush got the Republican nomination, his plane crashed into the ground with all engines running. The Pakistanis kept the bodies around (in violation of Islamic custom) for weeks, awaiting US experts. They showed up three weeks later and never checked the bodies. Why? He was supposedly murdered by Medellin cartel members, but a 6-month investigation by Sam Dalton, attorney for three of the accused murderers, into Mr. Seal's life and death uncovered some interesting points. The accused's cartel connections were well known, but not their association with Oliver North's enterprise. Mr. Seal was a drug smuggler, up to his armpits in smuggling cocaine for - guess who? - the CIA. During the penalty phase of the Columbians' trial, testimony by one government witness on the activities of Mr. Seal was so damaging to the government that 2 of the jurors wanted to change their verdict to "not guilty". The personal telephone number of George H. W. Bush was found in the trunk of Mr. Seal's car. This former CIA director disappeared in an apparent boating accident, and a body was later discovered (minus the life jacket Colby's friends insisted he always wore while boating) and buried promptly. John DeCamp, a lawyer from Lincoln, Nebraska, and Colby's close friend and confidant, said Colby's death was not an accident. He stated that Colby was prepared to disclose that missing P.O.W. 's were working for a dope smuggling operation orchestrated by General Colin Powell, Pentagon official Richard Armitage, and George H. W. Bush. An apparent suicide, Massieu was facing charges that he laundered money for the cocaine cartels. A Houston, Texas jury had found that $8 million in his bank accounts was paid to him by cocaine cartels. John Shaheen was a Republican businessman and best friend of William J. Casey (1981-1987 CIA Director), head of the Reagan/Bush campaign, who helped set up arms negotiations with the Iranians. We can find no information on Mr. Shaheen's death. He was an Iranian banker who worked with John Shaheen, a Republican businessman and best friend of William J. Casey (1981-1987 CIA Director), head of the Reagan/Bush campaign. According to Hashemi's brother, Jamshid Hashemi, he arranged a meeting between William Casey and a radical Iranian mullah in July of 1980 that eventually derailed Carter's hostage negotiations and delayed the release of the 52 American hostages until January of 1981. Hashemi died suddenly in July of 1986 of what was later diagnosed as leukemia. His brother and his lawyer, William Wachtel, remain convinced that Cyrus was murdered. Richard Babayan, an Iranian in prison for securities fraud, claims that Hashemi's death was ordered by high-ranking officials. He chaired the three-man presidential review board that probed the Iran-contra affair. He died in a plane crash in April 1991. Then Defense Minister of Portugal, he died in a plane crash in Lisbon in 1980. He was planning to disclose that he had discovered documents that showed Portugese officers were helping to traffic arms to Iran. Former Prime Minister of Brazil and a very popular leader, he died in the same plane crash that killed Amaro da Costa. He was the prime minister of Sweden, assassinated in 1986. Oliver North, the golden boy of the Bush/Reagan machine, had met with Mr. Palme to discuss the possibility of obtaining false end-user certificates for the plethora of weapons that were being purchased, so that they would seem to have come from a country other than the U.S. Mr. Palme refused to participate, after the plan was presented to him. He was dead within weeks. William Casey (1981-1987 CIA Director). He died 2 days before he was to testify about his and others' involvement in the Iran/Contra scandal. Banker Edmond J. Safra died mysteriously when a fire swept his Monaco penthouse apartment. His banks had been used for laundering money by the Bush Iran/Contra traitors. Charles M. McKee, ostensibly a military attache for the DIA in Beirut, Matthew Gannon, CIA Deputy Station Chief in Beirut, and three others were on board Pan Am Flight 103, which exploded over Lockerbie, Scotland. They were part of a counterterrorist team in Beirut investigating the possible rescue of 9 American hostages in Lebanon. The McKee team uncovered evidence that a rogue CIA unit called COREA, based in Wiesbaden, was doing business with a man called Monzer Al-Kassar, a Syrian arms dealer and drug trafficker. Al-Kassar was part of the covert network run by U.S. Lieut. Colonel Oliver North. Outraged that the COREA unit in Wiesbaden was doing business with a Syrian who had close terrorist connections and might endanger their chances of rescuing the hostages, the McKee team decided to fly back to Virginia unannounced and expose the COREA unit's secret deal with al-Kassar. They never got there. "For three years, I've had a feeling that if Chuck hadn't been on that plane, it wouldn't have been bombed," said Beulah McKee, 75, Charles McKee's mother, to Time Magazine. Four months after her son was killed for his efforts to expose the CIA, Mrs. McKee received a sympathy letter from George H. W. Bush. Mrs. McKee has never been satisfied with the government's version of events. While Democrat Henry Gonzales, Chairman of the House Banking Committee during Iraqgate scandal, stood as the lone voice from the wilderness in raising alarms about Bush’s obvious corruption, the rest of the Congress sheepishly ignored all the signs demanding immediate action. Gonzales’ voice reportedly fell silent after his empty car was machine-gunned in a Washington suburb in what passed for a drive-by shooting. The L.A. Times, on Feb 23, 1992, dug deep enough to find secret National Security Decision Directives by the Bush Administration in 1989 ordering closer ties with Baghdad and paving the way for $1 billion in new aid. The Times’ series, co-authored with Waas, emphasized that, "buried deep in a 1991 Washington Press piece - that Secretary of State James Baker, after meeting with Iraqi foreign minister Tariq Aziz in October 1989, intervened personally to support U.S. government loans guarantees to Iraq." Baker’s CJR report also noted, "On October 3, the Wall Street Journal reported [BNL official Christopher] Drogoul’s assertion that the director general of Iraq’s Ministry of Industry and Military Production had told him, We are all in this together. The intelligence service of the U.S. government works very closely with the intelligence service of the Iraqi government.’ Three weeks later, the Journal reported that Henry Gonzales produced a phone-book-sized packet of documents’ showing the involvement of U.S. exporting firms The documents mentioned one which designed parts for Iraq’s howitzers and was financed through BNL"
He was a close friend of George H. W. Bush. According to the book "George Bush, the Unauthorized Biography," there is compelling evidence to conclude that Aronow was a drug smuggler and suspected drug-money launderer. He was murdered by professional killers on February 3, 1987. In the days before his death, he made many personal calls to George H. W. Bush. Tommy Teagle, a man interviewed by author Thomas Burdick, was afraid of being murdered by Bush because he had knowledge that Aronow and Jeb Bush had been partners in cocaine trafficking. They were partners in the Nugan Hand Bank, a front for CIA drug money, in Sydney, Australia. Michael Hand was a Green Beret and an Army Colonel assigned to the CIA. Hand was in frequent contact with George Bush after his election to Vice President, according to CIA operative Trent Parker. Frank Nugan was found in his car on a remote road outside Sydney, an apparent suicide. There were no fingerprints on the gun. Michael Hand disappeared shortly afterwards, and has not been seen since. In 1979 Bush business Arbusto Energy obtained financing from James Bath, a close family friend. Bath had extensive ties to BCCI and the bin Laden family. Bath was the sole U.S. business representative for Salem bin Laden, the brother of Osama bin Laden. 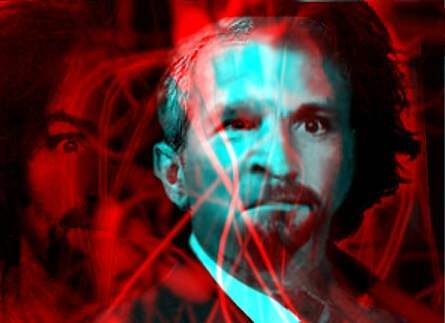 It is well known in certain circles that the Arbusto money came straight from Salem bin Laden, although Bush denies it. Salem bin Laden died when for no apparent reason, he flew his airplane into power lines where it became entangled, and fell 150 feet to the ground. "He was a very experienced pilot. He was a good pilot. We just can't understand why he decided to go right instead of left," recalled airstrip owner Earl May field. He was one of Prescott Bush’s partners in business deals with Adolph Hitler. He was devastated by the intense grilling he received from the Senate about his dealings with Nazis, and while Prescott Bush skated free, Farish collapsed and died on November 29, 1942. Found dead in his car, shot in the head. Mr. Baxter was vice chairman of Enron Corp. when he resigned in May 2001. Enron has been hot copy lately with the revelation that they were the largest campaign contributors for George W. Bush. Was J. Clifford Baxter a potential witness to Bush foreknowledge of their wrongdoings? His death was ruled a suicide. He was the senior vice president and treasurer of El Paso Corp., an energy corporation swept up in the recent energy scandal. Two months after the "suicide" of Enron executive Clifford Baxter, in the midst of questions about the accounting practices of El Paso Corp., Charles Rice was found dead of a gunshot wound to the head. His death was ruled a suicide. His body was found on December 1, 2001 in the Pike National Forest in Colorado, a gunshot wound to the head. Mr. Watkins was a consultant for Arthur Andersen, the accounting firm for Enron. He disappeared on November 13 after he left work. He was described as a devoted family man who always called home if he were going to be late. Officials initially said that the death was suspicious, but have changed their tune and have ruled his death a suicide. He died in a plane crash on April 3, 1996. Was Ron Brown the first Enron body? In 1995 Enron officials accompanied Brown on a trade mission to India, and to Russia in 1994. Speculation among right-wing whackos suggests that our last duly-elected President, Bill Clinton, was somehow responsible for his death, but we wonder: was Secretary Brown privy to information that would conclusively link George W. Bush to Enron greed and corruption? Charles Meissner, Assistant Commerce Secretary, also died in this crash. He was the senior vice-president of Gulf Power, a subsidiary of Southern Company, a cohort of Enron in the energy industry, and a major contributer to the Bush agenda. According to reporter Gregory Palast, Horton knew of the company's appalling accounting practices, and "... had no doubt about its illegal campaign contributions to Florida politicans - he'd made the payments himself. In April of 1989 Horton decided to come clean with state officials, and reserved the company jet to go confront company officials. Ten minutes after takeoff the jet exploded. Dr. Wiley disappeared November 15, 2001 in Memphis, Tennessee. He was attending a two-day annual meeting of the scientific advisory board of St. Jude Children's Research Hospital. His work on deadly diseases such as ebola and HIV raised fears of a terrorist kidnapping. Four hours later, his rental car was found on a bridge, raising the question of suicide, which his family vehemently refuted. Dr. Wiley was found a month later in the Mississipi River. Ms. Nguyen died on October 31, 2001, of inhalation anthrax. But we shouldn't worry - George W. Bush remains anthrax-free. Mr. Morris was a postal worker who died October 21, 2001, of inhalation anthrax. When people expressed concern to the current occupant of the White House about the anthrax cases in New York and Washington, his response was to tell us not to worry, that he does not have anthrax. Mr. Curseen died October 22, 2001, of inhalation anthrax. It has been reported that the anthrax infections since September 11 are of the same strain that was kept in a military facility.